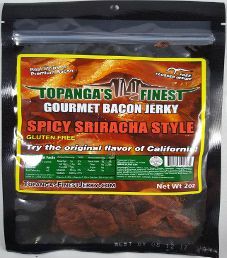 The next review for Topanga’s Finest will be on a 2 ounce/56 gram bag of their spicy sriracha style flavored bacon jerky. The bag was graciously submitted for review by the owner, Naomi Benghiat. 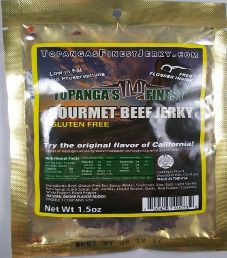 The first review for Topanga’s Finest will focus on a 1.5 ounce/42 gram bag of their Original Gourmet flavored beef jerky. 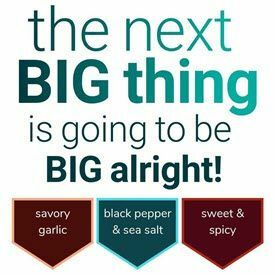 This flavor was originally developed 30+ years ago. The bag was kindly submitted for review by the owner, Naomi Benghiat.